Real Estate and GIS focuses on the application of geographic information systems (GIS) and mapping technologies in the expanding property and real estate discipline. Whilst a thorough understanding of location is understood to be fundamental to the property discipline, real estate professionals and students have yet to harness the full potential of spatial analysis and mapping in their work. This book demonstrates the crucial role that technological advances can play in collecting, organising and analysing large volumes of real estate data in order to improve decision-making. 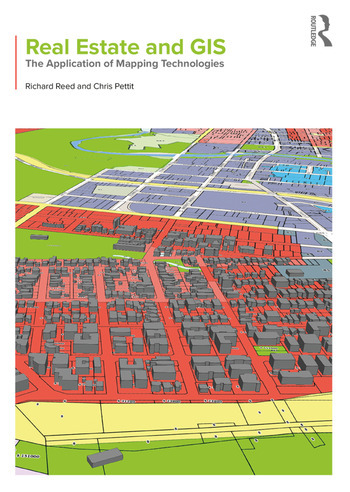 International case studies, chapter summaries and discussion questions make this book the perfect textbook for property and applied GIS courses. Property and real estate professionals including surveyors, valuers, property developers, urban economists and financial analysts will also find this book an invaluable guide to the understanding and application of GIS technology within a real estate industry context. Richard Reed is Professor and Chair of Property and Real Estate at Deakin University, Australia. He is a registered property valuer and is also the editor of the International Journal of Housing Markets and Analysis and author of the best-selling textbook Property Development, now in its sixth edition. Chris Pettit is Professor and Chair of Urban Science at the University of New South Wales, Australia. He is on the board of directors for the CUPUM (Computers in Urban Planning and Urban Management) conference, a board member of the International 'Geo for All' initiative, Co-Chair of the Research Data Alliance (RDA) International Working Group on Urban Quality of Life Indicators and Co-Chair of the International Society for Photogrammetry and Remote Sensing (ISPRS) Working Group on Geographical Visualization and Virtual Reality.